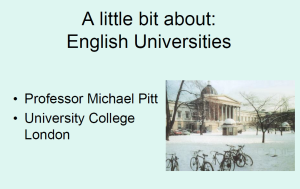 Prof. Michael Pitt will be telling us about the higher education system in the UK. 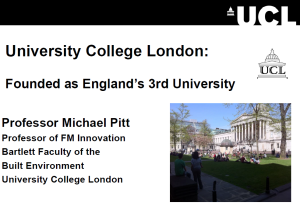 Michael is Professor of Facility Management Innovation at The Bartlett School of Graduate Studies, University College London. His research focuses on finding new ways of delivering facility management services with a focus on multiple contract efficiency, workplace productivity, services innovation and sustainable practices. 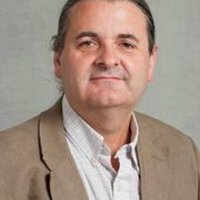 He is Editor in Chief of the Journal of Facilities Management (Emerald Publications) and Joint Editor of Urban Design International (Palgrave Macmillan). He is also a member of the CIB W70 Scientific Committee, the Royal Institution of Chartered Surveyors (RICS) Sustainability Working Party and of the RICS FM Executive. He is the lead academic on a number of research projects based at the MOD Main Building, Whitehall.